Metro Data, Inc. - Trusted. Experienced. | Metro-Data, Inc. The difference with our "Metro Manage I.T." model is that we proactively monitor your systems and keep them up-to-date and healthy. From custom eCommerce sites to Secure Hosting Solutions, Metro-Data has you covered. Consulting and technical advice to help you manage a security incident from the initial detection to closure. Metro Data, Inc. - Trusted. Experienced. For all of your business information system needs: Managed I.T. Security. Cloud. Strategic Consulting. Metro Data, Inc. is a leading Information Systems & Services firm that works exclusively with business clients to develop and apply customized technology solutions that accomplish a client's strategic goals. 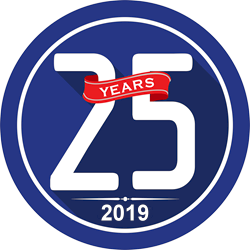 2019 marks our 25th year in business. Our longevity serves as testimony to how we view and approach every customer... for the long term. We understand the business objectives of each customer, then deliver on our solutions and promises. This has been our philosophy from the beginning, and it's why we've maintained many of the same business relationships since day one. Please check out our News Items to read about recent projects, community outreach, awards, and general news. If you'd like to have one of our staff evaluate your technology needs, whether it be a security assessment, plan for growth, or for a data network overhaul, we'll gladly meet with you at no charge for the initial consult. Metro Data, Inc. - We do I.T. right. Enter your information below to be contacted by a Metro-Data representative.